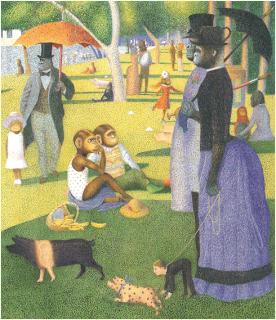 Anthony Browne is one of those rare children's book illustrators who is also an author. 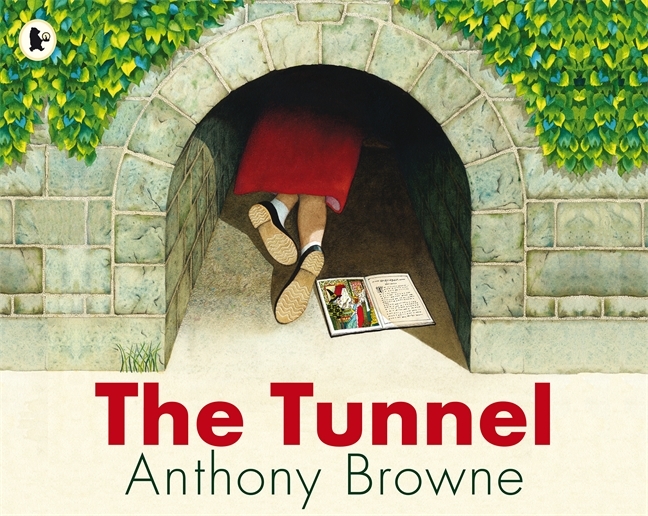 And, like the best of this breed, Browne's books bring a level of emotional resonance that almost becomes part of the setting in a story and is rarely found in most picture books. Like Maurice Sendak, William Steig, Rosemary Wells and Kevin Henkes, these illustrators all have a distinctive, even painterly at times, artistic style that is publication worthy (if not museum worthy) in and of itself. To this talent they bring a gift for the art of storytelling, both textural and visual, that graces us with books that are timelessly entertaining and eternally meaningful. Caldecott winners like Where the Wild Things Are and Sylvester and the Magic Pebble have stories that are ultimately about the push and pull of belonging and independence. Hazel's Amazing Mother and Owen cover similarly contemplative themes with more playfulness, but always with a sense of respect for the young audience that shows in the guileless ways they handle their subject matter. 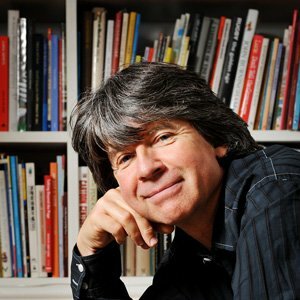 Although British and possibly less well known here (and ineligible for the Caldecott) Anthony Browne is an author/illustrator who's books can definitely share the shelf with Sendak, Steig, Wells and Henkes and who has been honored in his own country with numerous awards and, most recently, as Children's Laureate in the UK (current, very deserving, laureate is Julia Donaldson of The Gruffalo and Room on the Broom fame, among many others). 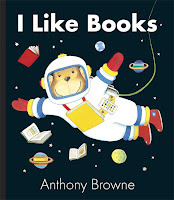 In my review of Browne's book Silly Billy two years ago I included a small retrospective of my favorites among Browne's books, but barely scratched the surface. With How Do YOU Feel? 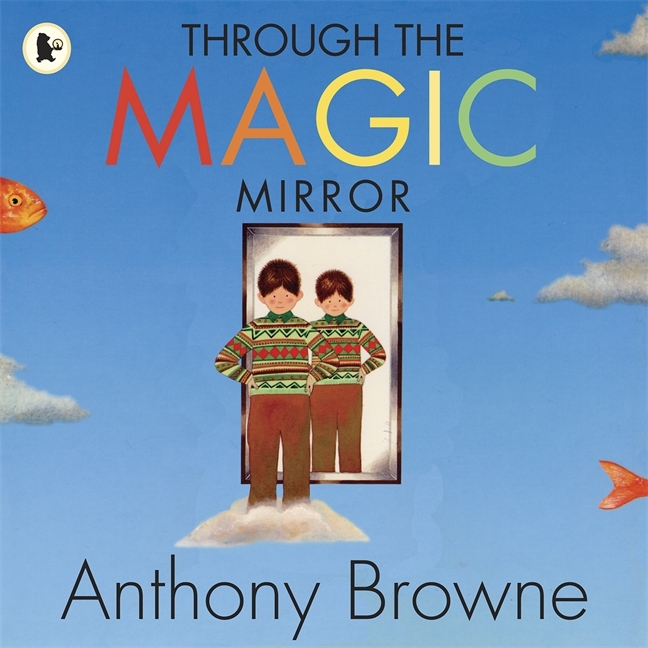 Browne brings his skills and talents to this seemingly simple book for the youngest listeners. Believe it or not, there are actually very few good books for children that present emotions in a way that is visually appealing and neither dogmatic or overly didactic. 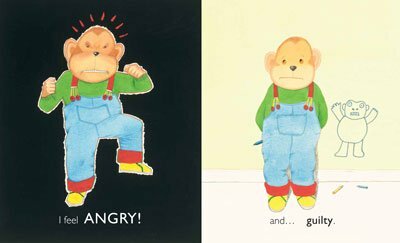 Besides Browne's Silly Billy, the picture books worth reading that deal with specific emotions in young children are, How Are You Peeling by Saxton Freymann, When Sophie Gets Angry - Really, Really Angry by Molly Bang, Mad at Mommy by Komako Sakai. I am sure that there are others and would love to hear from you with titles to add to this list. 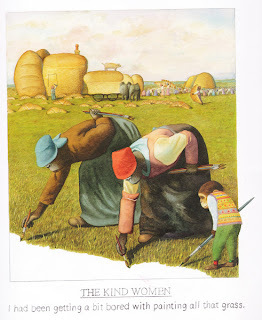 While there is definitely a place for Berenstain Bear and Little Critter books and the ups and downs of childhood that they cover, I prefer a more artfully told (and illustrated) story when it gets right down to it. 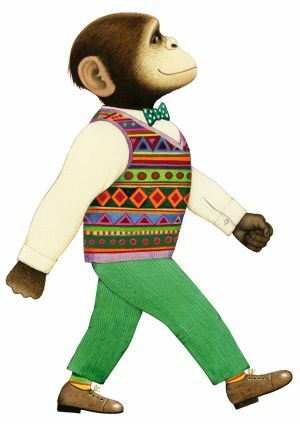 Browne's book is most like the Dr Seuss book My Many Colored Days which is beautifully illustrated by Steve Johnson and Lou Fancher. 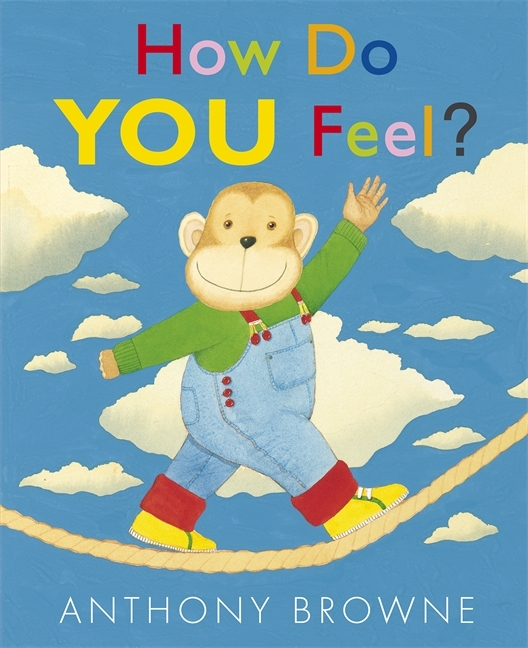 Where Seuss's book is abstract in the presentation of feelings, Browne's is direct, making it more readable (and open to discussion) with younger readers. What I love most about How Do YOU Feel? is the way that Browne covers the expected emotions, he also covers some others that are more nuanced, like "guilty." He also depicts bored, curious and surprised, confident, shy and silly. But, in what I think is a very important acknowledgement of a feeling that is not an emotion but often associated with emotions, Browne includes, "Sometimes I feel very hungry . 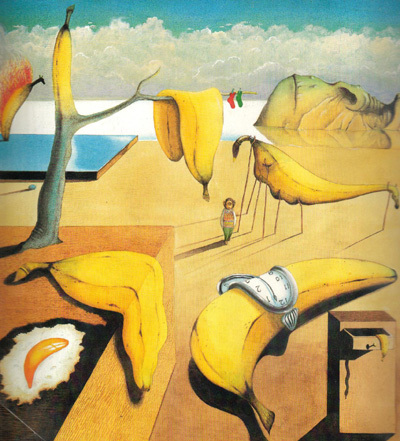 . . and sometimes very FULL." I think that it is vitally important for children to learn to identify their emotions and what they are feeling, as well as be able to express these many and sometimes complex feelings. But, for a growing number of children it is just as important to be able to identify feelings of hunger and fullness. 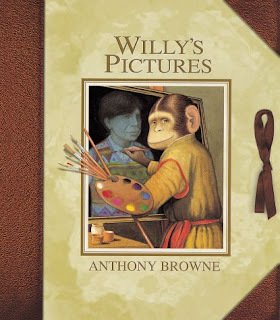 I think that, besides Browne's wonderful illustrations (he is intrigued by gorillas and chimpanzees and they are often characters in his books) the inclusion of "hungry" and "full" in this book about feelings is what makes it remarkable and what makes Browne an outstanding author/illustrator worth following. 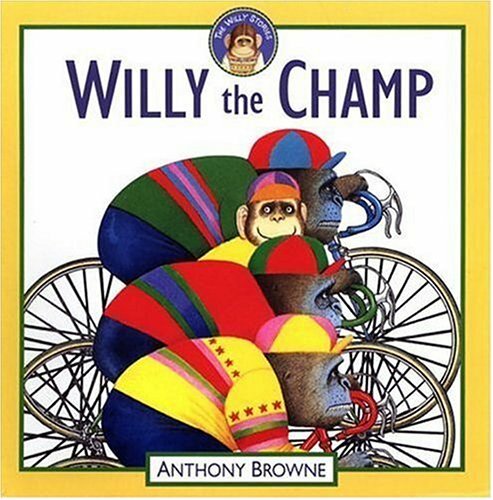 Willy the Chimp is a character that Browne has featured in several books. My favorite being Willy's Pictures in which Browne takes a trip through the museum, putting layering his own style on top of famous works of art, a few of which I have included below. 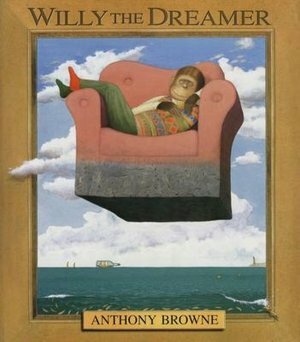 In Willy the Dreamer Browne also echoes the works of René Magritte and Salvador Dalí while giving the primate treatment to many cultural figures from Charlie Chaplin to Alice in Wonderland. 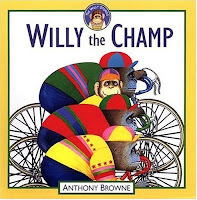 Another fantastic thing that Browne does with Willy and with other books is a pattern that repeats over the course of the story. With Willy, it is the pattern of his sweater vest that makes its way into the illustrations. In the fantastic Piggybook, which I recommend EVERY mother purchase to read to her kids, the face of a pig is repeated throughout the book, almost reaching a Where's Waldo pitch at one point. 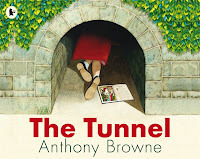 Whatever the story Browne is telling, you can be sure that his illustrations will be engrossing and, in most cases, telling a story of their own. HOW DO YOU FEEL?. 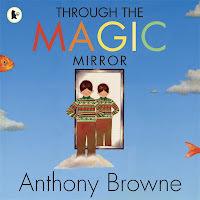 Copyright © 2011 by Anthony Browne. Reproduced by permission of the publisher, Candlewick Press, Somerville, MA on behalf of Walker Books, London.